The aim of counselling and psychotherapy is to help people who are worried, distressed or in emotional pain. Counsellors and psychotherapists are professionals, trained to provide a safe and non-judgemental space where the client can share the feelings, concerns and difficulties that they are encountering in their lives at the moment. Through the counselling process, both the counsellor and client can together gain insight and awareness into the clients problems as well as explore the clients own resources and ability to improve their lives. The counselling process is one of exploration which helps clients to accept what is outside their personal control, while being empowered to change what is within their control. This is a process of transformation, where clients can gain a deeper insight into themselves. 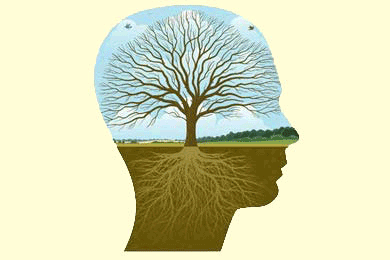 Psychotherapy and counselling can be an asset to self-development and improving self-esteem. It can be a support in times of crisis or change and the process can be either short or long-term, depending on the individual’s needs. Where appropriate and agreed between therapist and client, some of our psychotherapists may work using creative methods. These methods may include, gestalt, art, mindfulness, body psychotherapy and others. This way of working can help in dealing with past trauma, improving self-image and self-confidence, while enhancing social and relationship skills.